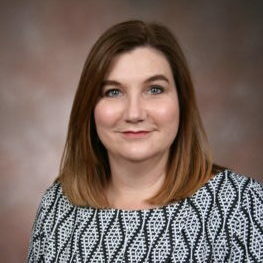 Dr. Charla Thompson is an Assistant Professor of Pharmacy Practice at the Appalachian College of Pharmacy in Oakwood, Virginia. She attended the University of Kentucky College of Pharmacy where she earned both a Bachelor of Science in Pharmacy in 1993 and a Doctor of Pharmacy with High Distinction in 1994. Dr.Thompson practiced pharmacy in her home town of Pikeville, Kentucky, at Pikeville Medical Center for twenty three years. She specialized in oncology pharmacy at the Leonard Lawson Cancer Center for many of those years and served as the Pharmacy Manager for twelve years and the Director of Inpatient Pharmacy for two years. She served as preceptor for a number of pharmacy schools and was named Preceptor of the Year by the University of Kentucky College of Pharmacy in 2003. Dr. Thompson’s practice site with the Appalachian College of Pharmacy is located at Tug Valley Appalachian Regional Hospital in South Williamson, Kentucky. Her professional interests include inpatient clinical pharmacy, oncology pharmacy, and hospital pharmacy management. Dr. Thompson is married to her high school sweetheart, Max, and has two wonderful children, Tanner and Cate. In her spare time she enjoys reading and watching baseball, soccer, football and basketball.